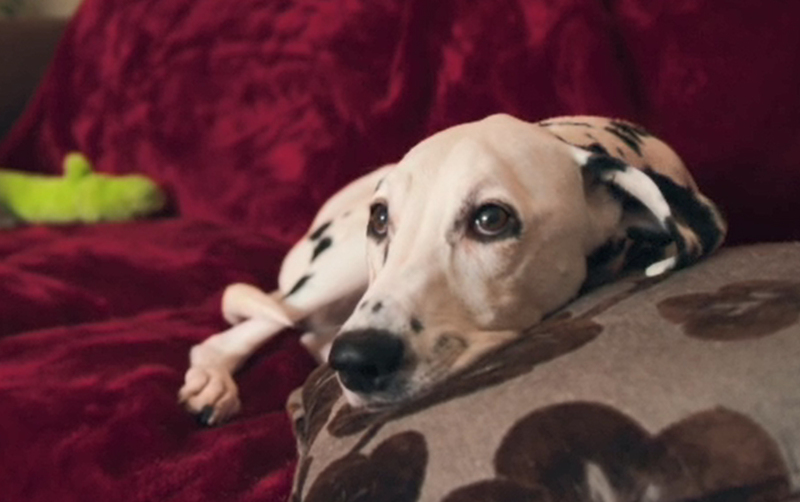 Peppa is Julie and Clive’s eight-year-old ‘dodgy dog’, a Dalmation who has always been wobbly. 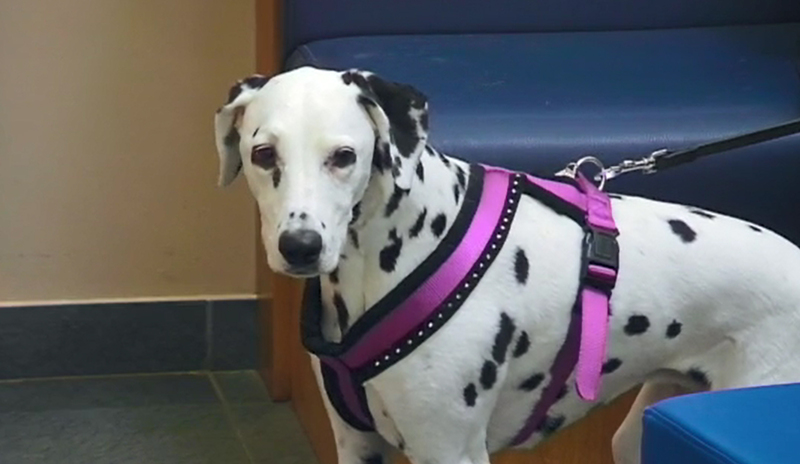 After multiple visits to the vets, she was diagnosed with bulging discs in her neck. Previous surgery has failed, the implants have collapsed and one of them is now squashing Peppa's spinal cord. Noel describes it as a ‘ticking time bomb’ because Peppa is in pain and her condition is deteriorating. Julie and Clive write Peppa a 'bucket list’ in case the worst happens. Noel knows that the surgery will be very challenging because the disc is wedged solid directly against the spinal cord. He manufactures a customised fusion device with spacers shaped like Christmas trees held in place using saddle-plates and screws – but first he has to remove the previous implants – and drilling out titanium right up against the spinal cord is extremely difficult. Noel has to call Clive and Julie from the operating theatre to ask permission to continue… it’s a life or death situation. Wobbly girl Peppa lives with Julie and Clive, and her terrier brother Barney in Surrey. Julie and Clive have had Peppa since she was a puppy. Sadly it became apparent early on that Peppa had problems, and was diagnosed with a spinal problem. Peppa originally underwent surgery to position an implant between vertebrae to take the tension off of her spine. Sadly, the operation had not worked with the implant collapsing and squashing Peppa’s spinal cord. 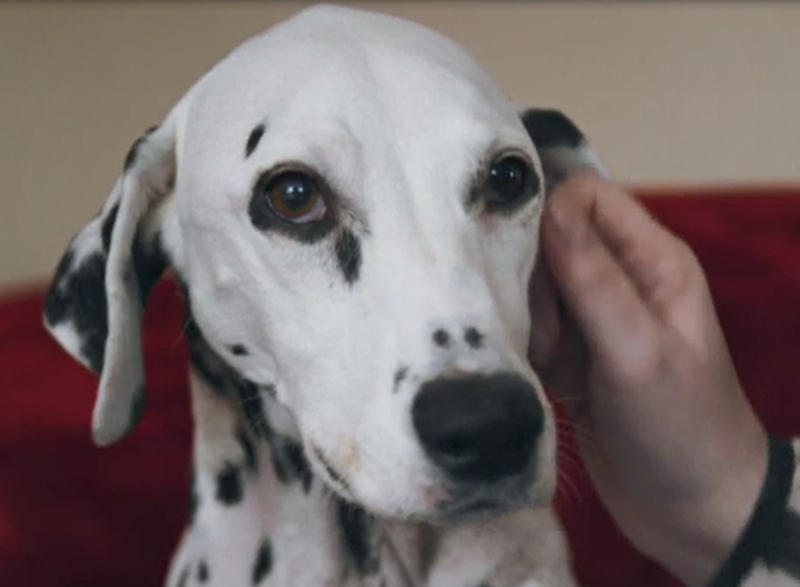 Peppa was struggling to walk and was in a lot of pain… Julie and Clive turned to Professor Noel Fitzpatrick to find a solution. Concerned that the slipped artificial disc was causing myelopathy, Noel explained that revision surgery would be Peppa’s best chance. Revision surgery would involve inserting an ‘upside down Christmas tree’ spacing device to bridge the three vertebrae apart. Noel explained that there would be three factors to take into account for success. Firstly, that there are no complications when removing the implants during surgery, secondly that there would be good bone purchase and finally, that during the recovery process, the myelopathy does not get worse by disrupting the affected area. The surgery was a particularly complex one, and as with any surgery with the spine, was high risk. The family considered all their options and decided they wanted to go ahead with surgery. To access Peppa’s spine, Noel had to make an incision through her neck. The procedure got more serious when he eventually located the affected discs and found that they were welded tightly right next to the spinal cord. If he removed too much bone, he wouldn’t be able to fuse the vertebrae together. He had no option but to drill through titanium – producing heat that could potentially damage the spinal cord. If he put too much pressure on the drill, he risked paralysing Peppa. At this point, Noel made the decision to call Julie and Clive in the middle of surgery and asked for their permission to continue. Noel successfully removed the first piece of implant after an hour of surgery and later managed to remove the second part. He proceeded to fit the vertebrae together by fitting the new spacer devices between the vertebrae – using ‘saddle’ like blades, screws and rods to hold the bones rigid. Finally, he inserted bone graft that would hopefully fuse the vertebrae solidly together. The operation took nearly four hours to complete and it would take several days before Noel could tell whether Peppa’s spinal cord would recover. After three days, Peppa was back on her feet and well enough to go home to her family. 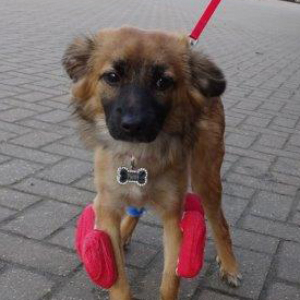 However six weeks later, Peppa was struggling and returned to Fitzpatrick Referrals for further scans. Whilst all was healing in her neck, Noel found another problem… an MRI scan highlighted bilateral sciatica in her lower spine. A disc was bulging upwards and the top of the vertebrae was sticking outwards – with compression on either side. Noel offered three options to Julie – medication, physiotherapy or further surgery. There was a risk of tethering the nerves and causing neuropraxia – a risk that Peppa was a candidate for due to her current pain. 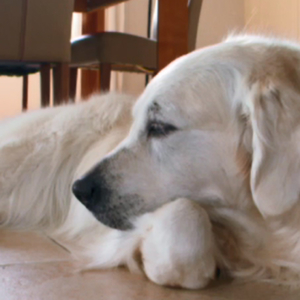 Keeping her best interests at heart, Julie gave Noel the go ahead to undergo further surgery. Placing a third ‘Christmas tree’ spacer in her lower spine, Noel pushed the vertebrae apart to relieve the pressure on the lower spine and successfully stabilised the joint. A few months later and back in Surrey, Peppa has fully recovered from her second surgery – much to the relief of her family. Peppa is now reunited with her canine pal Barney and she is running around and playing like never before. It is an immense relief to the family that the long journey to get Peppa to where she is now was worth it.